Add another activity/prank and enjoy more fun! 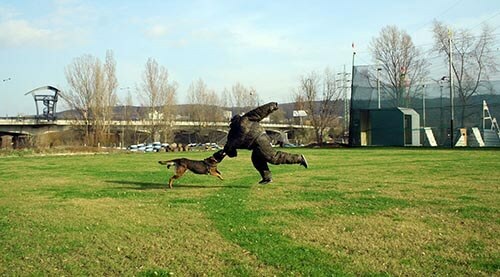 Unique adrenaline activity in which stag measures strength with a trained police dog. Stag put on protective suit and still doesn't know what is going on. When sees the dog, he have to run fast! 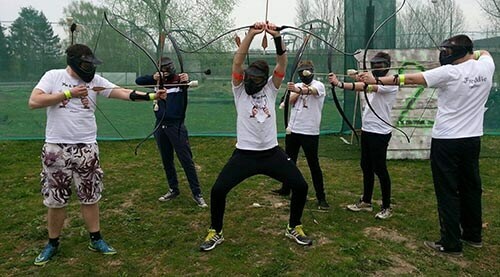 Let's make some special adrenaline surprise for stag and have some fun! Really cooled pool surprise. The stag will be thinking that he is about to jump from a bridge, but instead he will fall into a cold swimming pool. Really funny prank, but you have to take dry underwear for stag! Does the bachelor like flying at high speed? 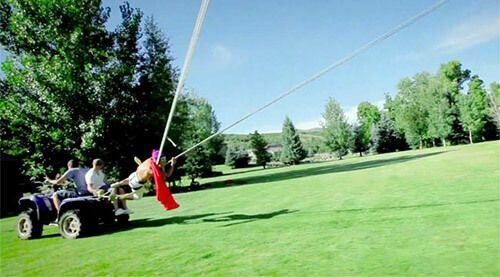 Shoot him with the biggest slingshot in the world! Does he hate it? Then it might be even better to buy him human slingshot! 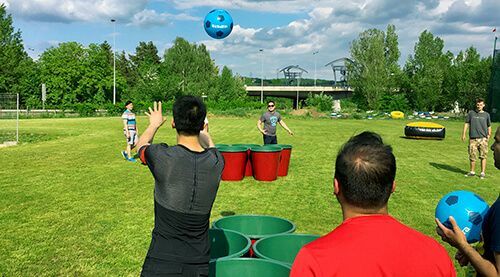 Round of beers for free to each activity! Brand new entertainment, in which you will eliminate your enemies with a weapon of medieval warriors - bows. We don't recommend using sharp arrows, not even when shooting on the stag! You will get mask, wrest protector, bow and special arrows. 30 minutes of training and 1 hour game. Add another brand new activity to your schedule - foot darts! 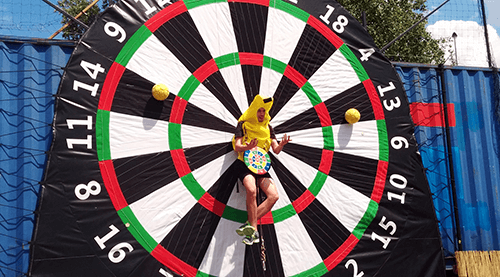 Kick or throw on the giant dartboard and see who has the best aim. At the end of the game, you can hang your best friend in the middle of the giant darts - Bachelor darts prank included in price! 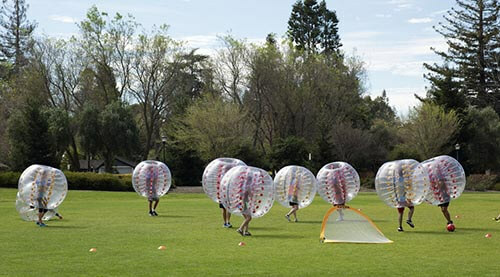 Let off some steam in bodyzorbing balls. Really crazy football game, where the football rules don't exist. Pushing, hitting and unfair-play allowed. We will se how good are you in playing bowling! Beer should be a part of every stag party in Czech republic. Instead of ping pong balls you get classic balls and instead of cups there are some big barrels! Includes 2 rounds of cold beers. Perfect as a chill-out activity in your action-stuffed package. Perhaps every one of us sometimes played table football in a pub, but this is in different league. In this special arena you will feel like figures in the big table. Teamwork is necessary and spinning is allowed! 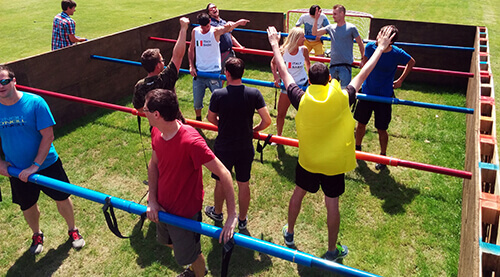 Funny football-like game during which you will feel drunk thanks to the special glasses. You will play different games, but believe us that hitting a ball in this condition is not easy at all.